Share the post "Kid’s Concept: An Introduction & Give-Away"
Swedish baby and children’s brand Kid’s Concept is now available in the UK, and so today I’m sharing some of my top picks from their beautiful range and giving one of my readers a chance to win a gift voucher to spend with them, too. Here’s a little more about the brand.. 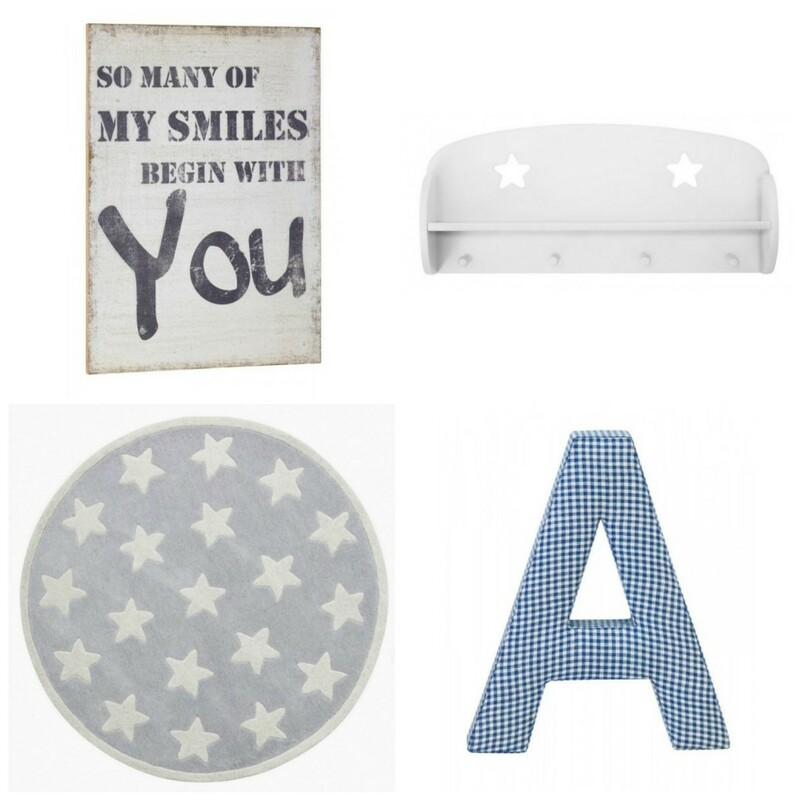 Kids Concept UK specialises in a whole range of unique Baby & Children’s gifts, toys, room accessories, bedding etc. for children aged 0 – 7 yrs and are all designed in Sweden. ‘By coordinating our products by colours & concepts our customers can easily create stylish, coordinated and fun children’s rooms using matching accessories. When you go over to the website, you can see these co-ordinated colours and themes, which can all be mixed and matched up to create the look that you’re after. There are currently 6 themes, STAR, ABBEY, PIPPI, TURBO, PUMPKIN, PRINCESS & IVY, and I’m still trying to decide which one is my favourite. I’ve been having a good look around and there are so many pretty products on offer. Here are a few things that have caught my eye, to give you a better idea of what Kid’s Concept is all about.. I spotted on the website that there is a 20% off your first order offer on until the end of May, too, so well worth checking that out. As well as their website, you can find them on Facebook, Instagram, Pinterest and Twitter. And now one of you lovely readers has the chance to win a £50 gift voucher to spend at Kid’s Concept. To enter, simple use the rafflecopter below. The give-away closes at 12am 31st May 2015 and is open to UK residents only. Good luck! I also have an exclusive offer code for my readers. Just enter TRR06 to receive £10 off your order if you spend £50 and over. Offer code runs from 1/6/15 until 14/6/15. What’s your favourite item from the Kid’s Concept range? Beth Twinderelmo recently posted…BritMums Live – I’m Going! I love their bedding and curtains with owl on it. I love the Pumpkin – White/Green “Once Upon a Time” Book shelf! I love the Ivy – White Wooden Bed Side Table! It’s so cute. My favourite item is the Turbo – Blue & Grey Set of 2 suitcases!! They are so cute!! The Pumpkin – Plush Owl Baby Slippers are just adorable! I love the Pumpkin Blue Knitted Owl Cushion – he is adorable. Wow so many lovely things the pink wooden rocking chair is my fave though! http://www.kidsconcept.co.uk/Storage/clothes-racks/star-pink-clothing-rail-in-wood.html i absolutely adore this for my little girls bedroom! Thanks for the lovely giveaway, I really like the Pumpkin – Green Owl Rug in 100% Wool. The sign you featured above, ‘So many of my smiles begin with you’ – that’s gorgeous! The Star white wooden clothing rail is our favourite. Melissa Breckon recently posted…I am a bad blogger! Love the Turbo Blue Wooden Height Chart! Love the little star mirror. My daughter would adore it. I love that rocking chair! I really love the child’s sofa. I really like the Pumpkin – White/Pink Wooden Baby Walker. Sharon Powell recently posted…Word of the week! I really love the rocking chair. I love the pink princess play tent. My favourite is the Star Children’s Green Soft Tub Armchair. Too cute. That cream rocking chair with the star – stunning. i absolutely adore the rocking chair, its gorgeous! I love the star- blue rocking horse! I love the star blue wooden drum. My boy would love the traffic maze game or the black xylophone. There are also some gorgeous baby toys too that I would be tempted to buy for my new nephew due in October. The pink owl patchwork baby quilt is gorgeous. I love the white wooden American lounger – would love ace on the decking! I love the rocking chair! The pumpkin castle building blocks are lovely! Love the spotty rabbit rocker! Cute and stylish! I absolutely love Star – White Wooden American Deckchair/lounger – stunning! The little tin drum. My son would love it. I’ve been looking for a kids rocking chair for a while now! So I love that the best! Such a hard decision! Everything on the website is gorgeous. The rocking chair is lovely and would be perfect for my daughter’s bedroom. I like the Princess money box, the car cavas and the blu fringed rug. I also like the star pegs. I love to monogram stuff, the initials are definitely my favourite! The rocking chair – it is gorgeous! I think the rocking chair is wonderful. The rocking chair, love it. The beautiful rocking chair would look amazing in my daughter’s room. Star White Wooden Vanity Mirror with Drawer is lovely! That grey rocking horse with the big white spots is very cute! I love this book shelf. Such lovely products. The rocking chair rocks, pun intended. I love the wooden step stool. Wooden Rocking Rabbit Horse is great!! There are so many absolutely gorgeous items on the site, it’s so difficult to choose just one! I absolutely adore the Star Pink Wooden Rocking CHair, but I also adore the white wooden dolls pram too! Don’t make me choose!!! I love the little black drum. I don’t think I’d buy it for my little one though I couldn’t handle the headaches. However a friend of mine’s little boy would love it and it would be great payback for the keyboard they bought my son. I love this chair http://www.kidsconcept.co.uk/furniture/chairs/star-white-wooden-american-deckchair-lounger.html. So cute! I like Ivy – White Wooden Bed Side Table. The owl stool is gorgeous!